apple just released the new itunes, now with included podcast-feature. 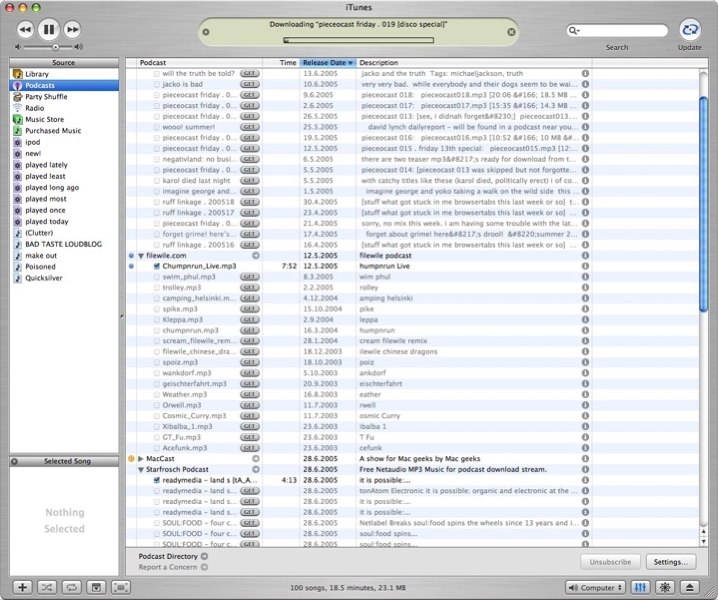 the ITMS now features a podcast-section, so apple released a directory, where anyone can add their podcast. for a start, you can go to the top 20 of apples podcasts, which will be more than enough to fill all your gadgets with stuff to listen to.